Déjà vu, the phenomenon of feeling like you’ve already experienced something before – a smell, a room, someone’s presence, even though you don’t have a conscious memory, is something that reminds us that the world of consciousness is a little more flexible than we often assume. Déjà Rêvé is even stranger. This weird anomaly of consciousness happens when you recall dreaming something at the exact same time that you see it in “real” life. Are these psychic phenomenon indicators that time, space, and consciousness are more like a stretched rubber band, rather than the linear staircase of events and neurological firings that we are taught to believe? Déjà Rêvé translated from the French means “already dreamed.” It’s a form of precognition that many people have experienced – just like déjà vu. Or, is it just another trick of the mind? Before we dive a little deeper into déjà rêvé and déjà vu, among many psychic phenomenon, it is helpful to understand some of the prevailing models of the mind. Closely related to Freud’s concept of mind is Carl Jung’s, since he was taught by Freud, and later diverged from some of Freud’s theories to develop his own. 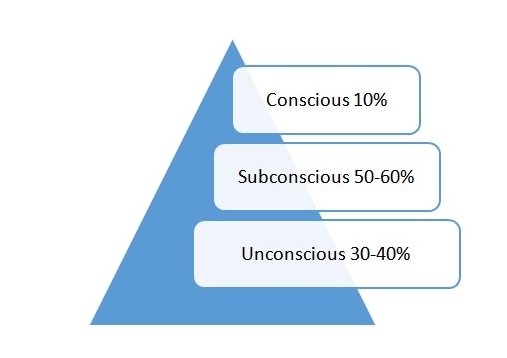 Jung estimated that our mind is divided further into another category he called the Superconscious Mind. This has also been called the “Collective Unconscious,” “Divine Mind,” “One Mind,” “The Source,” or even “God.” It essentially represents Infinite Wisdom, or the organizing force which creates all of the Universe – which we so often forget that we are not just a part of, but that we ARE. Jung did extensive research on dreams, memories, and reflections, including precognitive or psychic experiences, including déjà vu and déjà rêvé. Let’s look closer now at the distinctions between these psychic (or simply consciousness) phenomenon. Déjà rêvé is when you have the sense that you have dreamed something before, when it is happening in real life, even though you don’t recall a specific instance of being somewhere, doing something, or talking to a specific person. This is slightly different than a precognitive dream. In a precognitive dream, you simply dream of something that indicates an instance of interaction or experience in the future, and then you later experience that very same “cognitive” act in real life – so the dream told you what would happen before it did. However, other studies have a different take on experiences like déjà vu and déjà rêvé. Dr. David Ryback also conducted a survey in his publication “Dreams That Came True” with an 8.8% frequency with regards to precognitive dreams. Ryback has also suggested that we can alter reality by having lucid precognitive dreams. He even puts forth that physical reality is a dream-training simulator. What is startlingly strange with déjà rêvé though is that they seem to have a direct and relative relationship with physical reality. If this is true, we need to start asking bigger questions – like what are the origins of “reality”? When we couple this emerging information with the latest advances in quantum physics, we can start to understand how all psychic experiences are quite probably just an expansion of our abilities to alter reality, and to experience it in multiple time-frames. If time isn’t real, and“reality” can be altered with our dreamtime, then who is to say that we haven’t all experienced everything before, and therefore have dreams of being somewhere before or having the very same conversation with a friend? Ancient tribes from Australia to North and South America, and all across the globe are familiar with “Dream Time.” They knew that the world is not the “thing,” and therefore we can change it with our consciousness. An acknowledgement of something beyond Cosmic time, and the acceptance of Infinite Consciousness change everything. Scientists can say that déjà vu and déjà rêvé are tricks of the mind, but it is possible that they are the results of expanding consciousness – and a direct link to Jung’s Superconscious Mind.